If you are going through a divorce and believe that you can amicably communicate with your spouse when making decisions, mediation may be a beneficial alternative dispute-resolution method. Divorce mediation, arbitration and collaborative divorce counsel provide multiple benefits, such as reduced stress, a faster judicial process and emphasis on the children’s best interests. For the best results, you should seek the advice of an experienced Louisiana family law attorney. Attorney Ginger West Johnson is a certified mediator and takes into account your needs and concerns while helping you find workable solutions. The goal is to conclude with agreements on specific issues. Once all the issues involved in the divorce have been resolved, a settlement agreement is drafted that summarizes the conclusions that the spouses have reached. Both spouses sign the agreement, and it is provided to the court for approval. 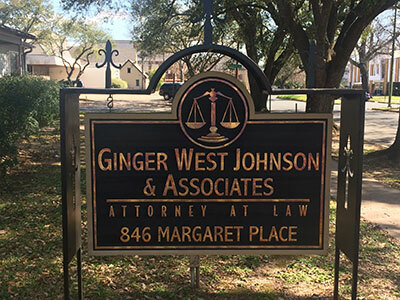 For legal mediation, arbitration and counseling services, the Law Offices of Ginger West Johnson has attorneys who are ready to help. To discuss your circumstances with a family lawyer, contact us today at 318-734-9905. In addition to Shreveport and Bossier City, we also serve clients in Minden, Mansfield, Homer, Haynesville and Coushatta. We can also help with your case if you require a criminal law attorney.